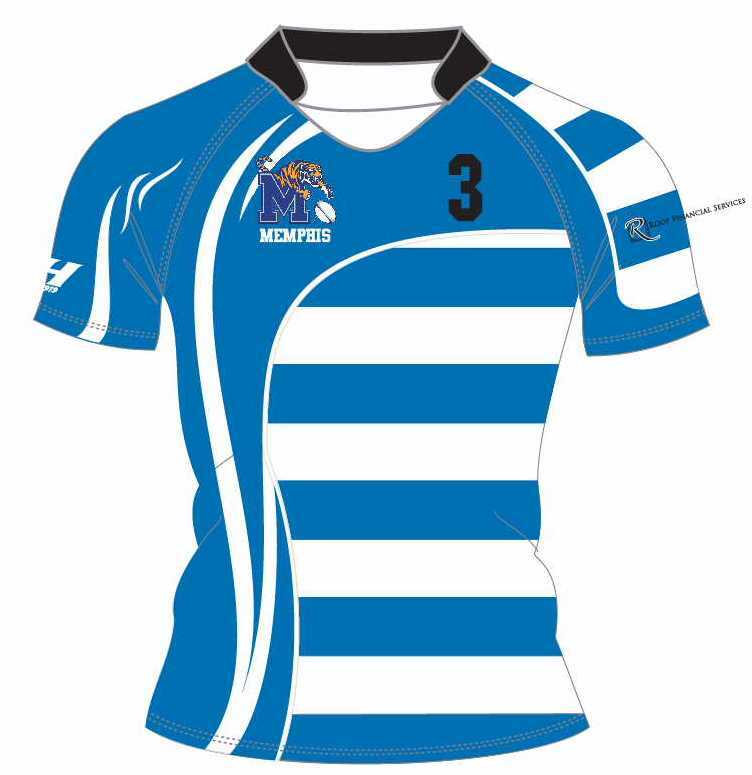 Thanks to the contributions of key sponsors, Roop Financial, Old #7 Foundation and Cole Pain Therapy Group, the the University of Memphis has ordered new jerseys. The Tigers have squeezed most of the life out of the Blue “M” and the National Guard jerseys. The National Guard jerseys were embroidered with the Logo this year to give us a very durable black jersey option. They will serve us well for several more years. However, the Blue “M” set has been repaired after almost every game. Thanks to Mama Koleini, they still look pretty good. The new jerseys are of high level competition material that should handle the higher levels of competition that the Tigers anticipate going forward.